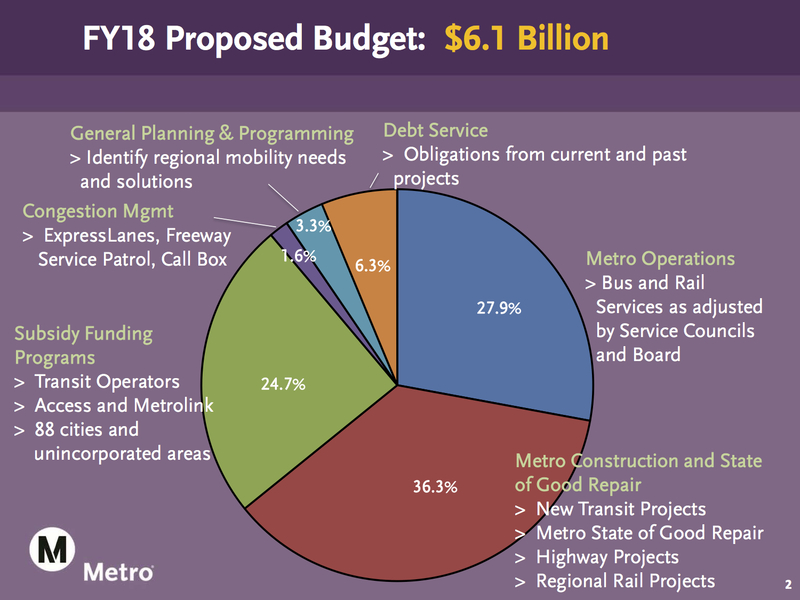 •On a 12 to 0 vote, the Board approved A motion to select the ‘Transportation System Management/Transportation Demand Management’ option as the locally preferred alternative for the 710 North project. In English, that means local road improvements instead of a significantly more expensive freeway tunnel that would need more funding. Here’s the motion and 710 status update and I’ll have a blog post up later today. •The Board approved a new low income fare subsidy program to replace the existing Rider Relief Transportation Program (RRTP) and Immediate Needs Transportation Program (INTP). The new program will eventually replace coupons and tokens with TAP cards. Staff report. Board Member Mike Bonin made a good point: these kind of programs need to be promoted on par with other PR Metro campaigns. •The Board approved a new project definition for the Eastside Gold Line Extension that includes three routes to be studied in a revised draft environmental study: the SR 60 North Side Design Variation Alternative to South El Monte, the Washington Boulevard Alternative with Atlantic Below-Grade Option to Whittier and a combined alternative with both routes and a three-way junction that would allow trains to run between South El Monte, East L.A. and Whittier. Urbanize LA this week also took a good look at the project — and raised some questions, especially about the C route. One thing I want to clarify: the Board approval is only calling for a more comprehensive study of the three alternatives. The Measure M Expenditure Plan includes a groundbreaking date of FY 2029 for one alignment and a groundbreaking date of FY 2053 for a second alignment. Upon completion of the revised environmental document, WE THEREFORE MOVE that Metro also report back on options to comply with the above groundbreaking dates, and potential opportunities for accelerating both alignments. •The Board approved a contract modification with Cubic — the company that does the technology behind TAP cards — for software updates that staff say will eventually include “the ability to tap and load your TAP card within an app on select smart phones and tablets. As early as 7-9 months from the start of development, the mobile app will be deployed. Planned future phases include the ability for phones to be used as virtual TAP cards to open gates and interact with other fare payment devices.” Staff report. •The Board approved adding a $3 daily parking fee and $59 monthly fee for Monrovia Station on the Gold Line. Similar fees have already been approved for APU/Citrus and Irwindale stations. Staff report. •The Board approved $81-million contract for Blue Line track and signal upgrades that should reduce delays for maintenance work and when there’s service issues. Staff report. •The Board approved a $1.24-million contract to Clean Energy Renewables for a pilot project to supply biomethane gas to fuel Metro buses. If successful, the contract has a $54.8-million option. Biomethane results in fewer overall greenhouse gas emissions than other types of natural gas due to the fact that no drilling is required. See the staff report for more info. $59 Monthly Parking for Monrovia! That’s insane! I park there every morning. The only reason I take Metro is because my work charges parking. That parking garage surely cost over $6 million to build… There is not such thing as free lunch. My complaint is that it’s 59, among the highest compared to other Metro stations. I get why stations like NOHO, Universal CIty, Expo/La Cienega can charge that much. But Monrovia? They should have kept the current $39 monthly parking fee for preferred parking spots, which right now are under-utilized. One thing about the “Virtual TAP card” replacement for the phone – probably would need to find an alternative to reach low-income/minority populations to address access (phasing out the physical card for the virtual card may possibly hit a Title VI snag). While TAP has been awesome, hopefully cubic would continue to maintain the capabilities for a physical card in the future – and especially after the pilot of the new cards are out.